CAD Conversion – How Is It Done? We get a lot of requests to get documents converted to CAD editable files, which is actually something that a lot of people didn’t even think was previously possible. But here at Pearl we’ve been completing CAD conversion for a number of years. How do we do it? Well, we simply take your drawings, plans and/or blueprints and scan them using our top of the line scanners. Then, using our exclusively developed CAD conversion software, we can quickly convert standard, high quality scanned images into CAD files which can be used in all of the major CAD programs including AutoCAD. 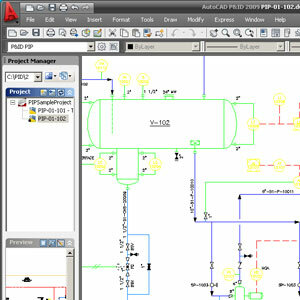 Will the CAD conversion cover all CAD software? We can convert drawings to DWG and DXF, so you have a range of choices at your disposal. But this is a highly advanced way of bringing documents that are potentially decades old and making them editable in your CAD application of choice through our CAD conversion service. We offer manual drafting and automated conversion which is applicable for a range of document types including maps, architectural and mechanical drawings. There are no special requirements on the documents as long as they are clear and can be scanned easily without a great deal of damage. If you’re not sure about the CAD conversion, you can sample the work before you commit to the entire project. We’re sure you’ll be extremely happy though! Once you’re happy with the work done, we can get the CAD files over to you on CD, DVD, USB or by other digital methods. We can also send the original drawings back if you so wish, or we can organise a secure shredding service and recycling process to be completed. With a service like this the benefits are substantial. You will save a great deal of space should you decide to retire the original, paper based documents. You’ll be able to convert the files to PDF’s and share them between departments and people, quickly and easily. On top of all that you will be able to edit the original files. Files that had lost of their original use are once again available to be edited, changed and used as needed. In a time when everything is going digital, it makes sense to convert your drawings using a CAD conversion service. Whether for security’s sake, saving space or just generally modernising, CAD conversion is an excellent value process which can save your organisation a great deal in the long run. If you would like some more information about how our CAD drafting and conversion service can help you and your company, get in touch today. We provide CAD drafting London, Manachester and across the UK. You can request a free, no obligation quote for your scanning project by following the links below.